Gelephu is a whole new world for me. Born in the north I am up against many warm adventures in the south. I am making heavy use of Sundays that I have to myself and family because weekdays are insanely tight. I wish I had good reception of 3G connection at night to write down all the first hand southern experiences. 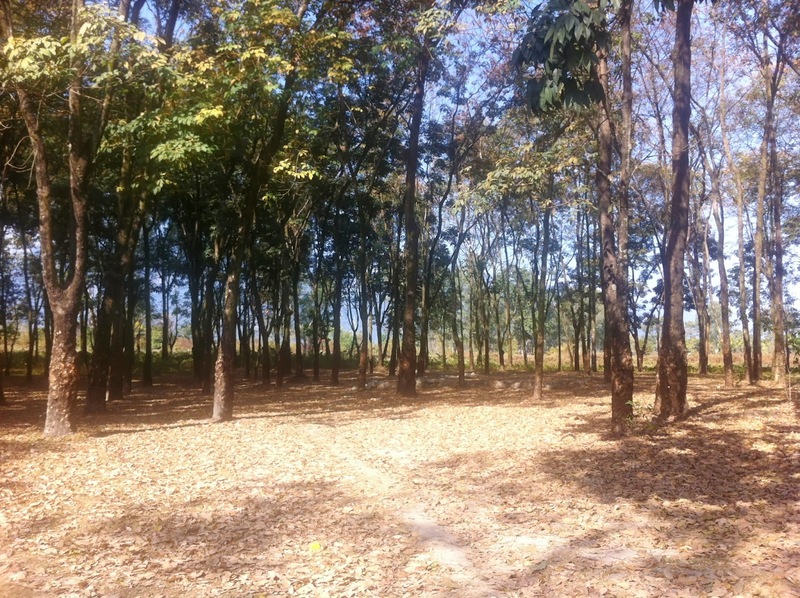 The following is the picture of the woods across the Gelephu High School campus. It's two acres of Rubber trees. 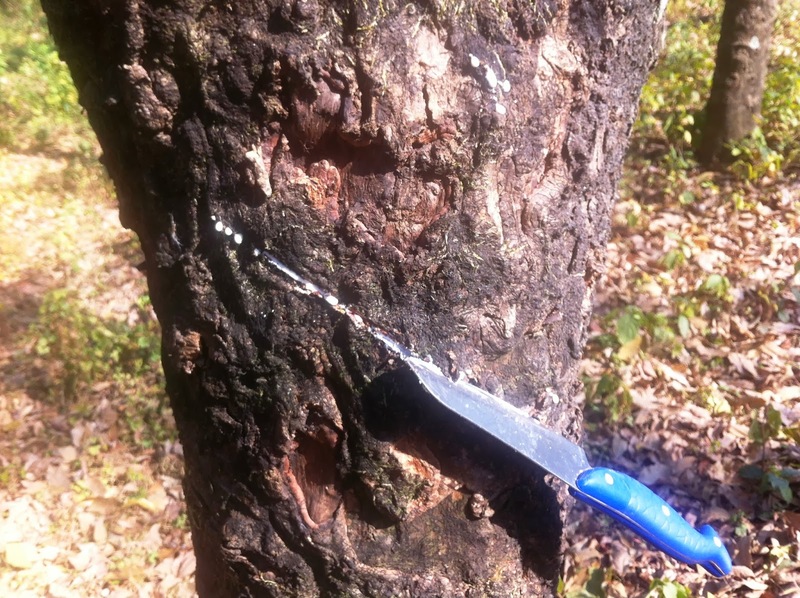 I joined my friends during the lunch break to explore the woods and extract rubber. 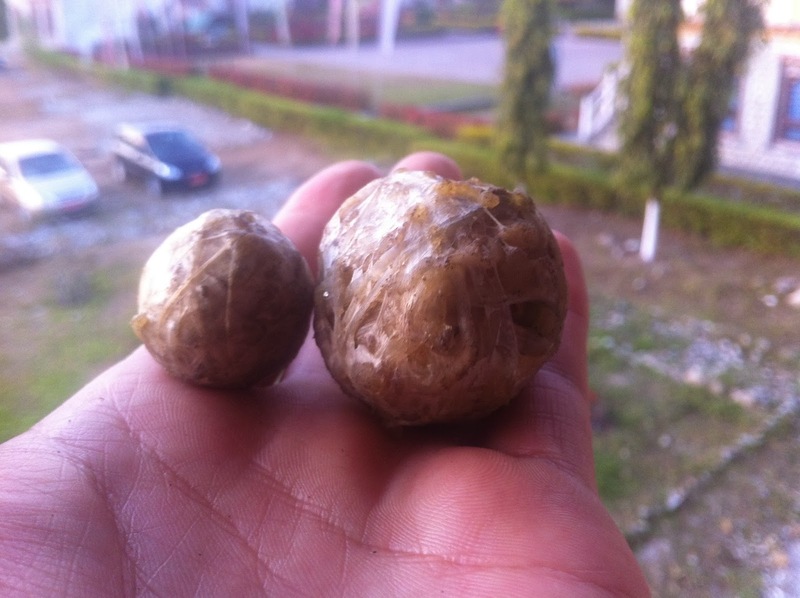 Kids were playing with rubber balls they made from the trees. I took a knife along to try out the cutting skill we learnt in high school geography. The trees were laden with milky saps, just a small cut and it comes oozing out. It soon turns into rubber. 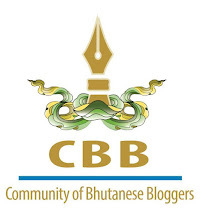 Gelephu High School had the intention of adopting the trees and harvesting the rubber. They had called Indian experts for advice and found out that each tree could give them at least Nu.1500 a month. This could have made the school self reliant but the idea didn't sell well with NEC for whatever reason- so I learnt. Looking at how children have exploited the trees, each tree carries hundreds ugly scars, the trees may not remain harvestable very soon. The question is why are these trees planted if they are not harvested? And even bigger question: If rubber trees grow in our country why haven't we invested in it? For now, Gelephu High school uses that forest as assembly ground during the hot summers as natural air conditioner. Thank for sharing Passu Sir.